Cities: Skylines has only been on the market for four days, but one enthusiastic city planner has already recreated the city of Los Santos from Grand Theft Auto V.
When Grand Theft Auto V was announced, Rockstar constantly bragged about the game's massive size (insert phallic joke here). 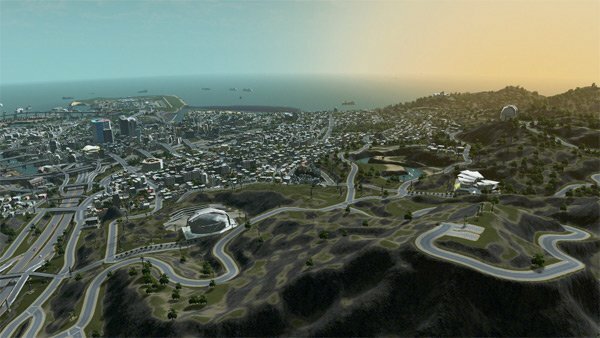 The playable area in GTA's open-world is roughly twice the size of Manhattan. So, the fact that Steam user grockefeller uploaded a detailed recreation of Los Santos within 24 hours of Cities: Skylines' release is impressive. The mod includes everything you'd expect from a Los Santos look-alike, and allows GTA fanboys to experiment with civil engineering, instead of drugs and hookers. 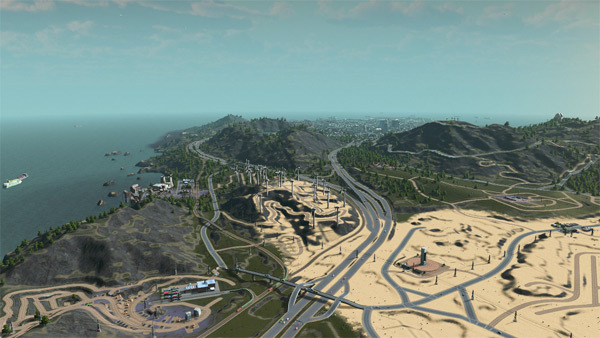 Here's the completely built region of South San Andreas including the cities of Los Santos, Palomino, and Sandy Shores. Ever wanted to challenge and continue the vibrant metropolis of Rockstar Games? Now you can! You'll have to deal with multiple problems like employment, ecology, waste disposal, and water [gestation]. Mod required to work: 2x4 parking lot and unlimited money too because the town is in debt, it was expensive. Apparently Los Santos is experiencing a budgetary crisis. In a lot of ways, Cities: Skylines is everything that the latest SimCity title isn't. The game was mod-friendly on day one, and the map sizes are huge. Plus there's no pesky online requirement. It really does feel like a sequel to the Maxis-made SimCity titles from the early 2000s. Last September, Wired sat down with Mariina Hallikainen, the CEO of Cities: Skylines' developer Colossal Order. Hallikainen explained that her vision for the game was more in line with the original SimCity titles than EA's current incarnation. Well, we really liked the original 90s games. We used to play these games when we were younger -- the 90s and early 2000s simulation games. It was the same thing with Cities in Motion, we loved Transport Tycoon, and we wanted to bring that kind of game to the modern day. In a month where very few big-name titles are hitting the market, Cities: Skylines is tearing up the charts. Within 24 hours, 250,000 copies were sold, which is a big deal for an indie studio like Paradox Interactive. If you want to give Cities: Skylines a try, check it out on Steam.